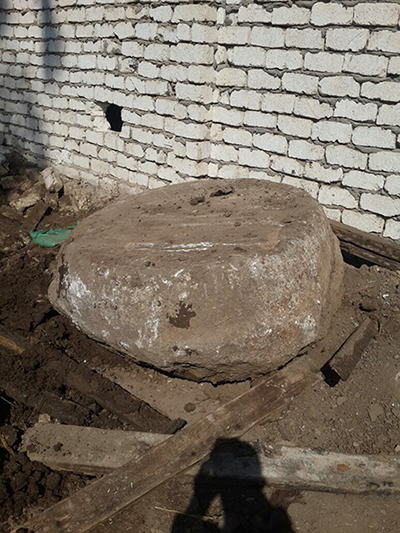 Seven residents of a Giza district have been arrested after they illegally excavated the area beneath their home and found the remains of an ancient Egyptian temple. 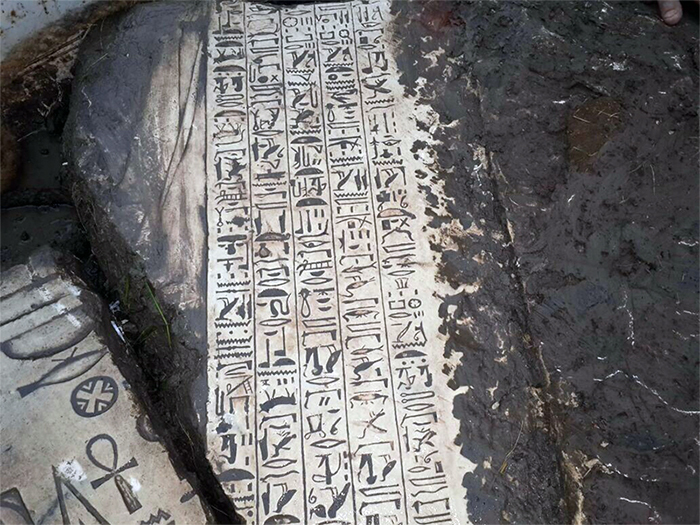 The huge limestone blocks, engraved with hieroglyphic texts, date from the reign of the New Kingdom's King Tuthmose III, and were found in the Hod Zeleikha area of Al-Badrasheen district. The find was made two weeks ago, according to Major General Momtaz Fathi, an aide to the interior ministry and a director in the tourism police. 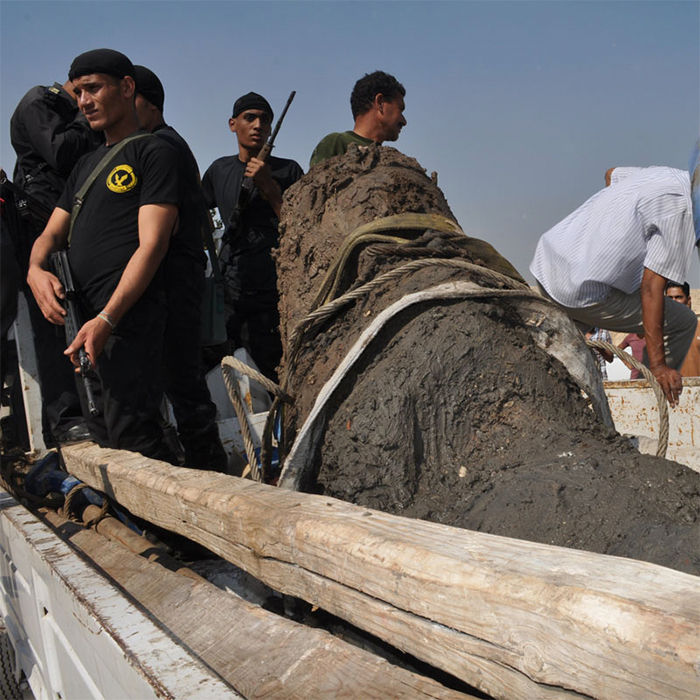 A unit from the tourism and antiquities police heard of the illegal excavation work and arrested the seven men – two of whom are Palestinian, Fathi said. The police also found diving costumes, oxygen cylinders and diving masks with the detainees. 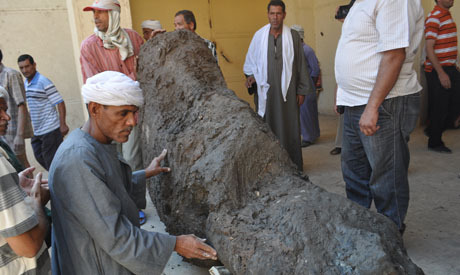 Antiquities Minister Mamdouh El-Damaty said that the unearthed blocks are genuine and belong to a huge temple from the reign of King Tuthmose III. Seven reliefs and two marble columns were unearthed along with a huge red-granite armless colossus of a seated person, El-Damaty. The items have been brought to the Saqqara site for restoration and further study, the minister said, adding that the Hod Zeleikha area has now been declared an archeological site and under the control of the ministry in order carry out more surveys nearby and unearth more of the temple. Don't you worry its a matter of time the ISIS will invade Egypt and behead the mummies and blow up all Archeological artifacts as their predecessors did with Bamiyam Buddhas in Afganisthan. When will people understand wealth and power are not the answer to a happy life, If we could stop killing animals & each other, enjoy life for what it is and just stop distroying the world Try peace perfect peace. Why would they arrest the men? It was on their own land! They should have been rewarded for the discovery! It belongs to them. But the Egyptian government will probably steal it from them! There is no concept of justice in the Egyptian system.